In most Indigenous cultures there are unique customs, traditions and practices. One important tradition is some type of mythological designing practice, usually depicting animals in a beautiful refined phantasy art form. These write ups feature the observed definitions of each animal as they have been characterized for a few hundred years or so. 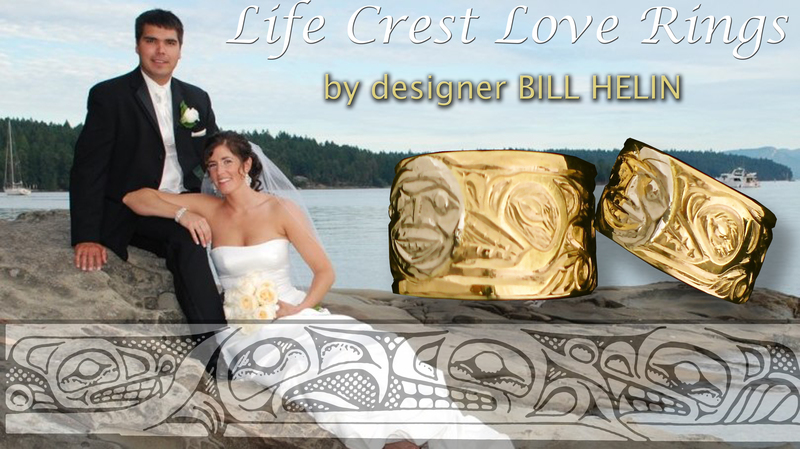 These Life Crests mean nothing spiritual, they merely tie in familiar characteristics of each animal and by Tradition are used to represent Tsimshian and other west coast tribal groups similar to Family Coat of Arms or even nowadays, logo designs.